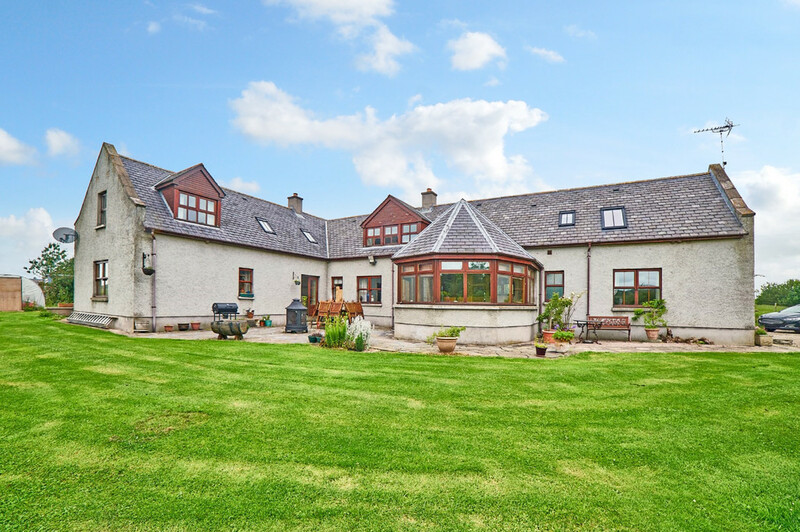 MQ Estate Agents are proud to present to the market this stunning Six-bedroom Detached house located in a tranquil rural area. 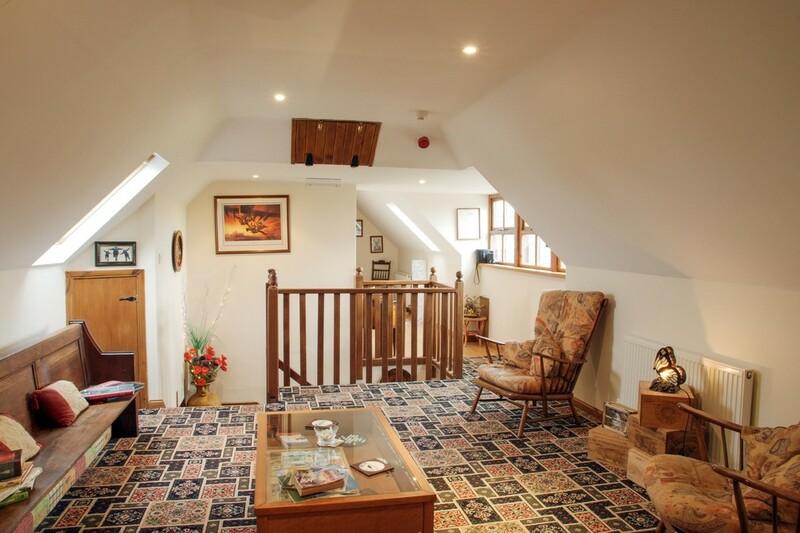 ACCOMMODATION: Ground floor: Entrance Vestibule, Hallway, open plan kitchen/family and dining area, Utility room, shower and cloakroom, master bedroom with en-suite, double bedroom with en-suite, residents lounge, conservatory. 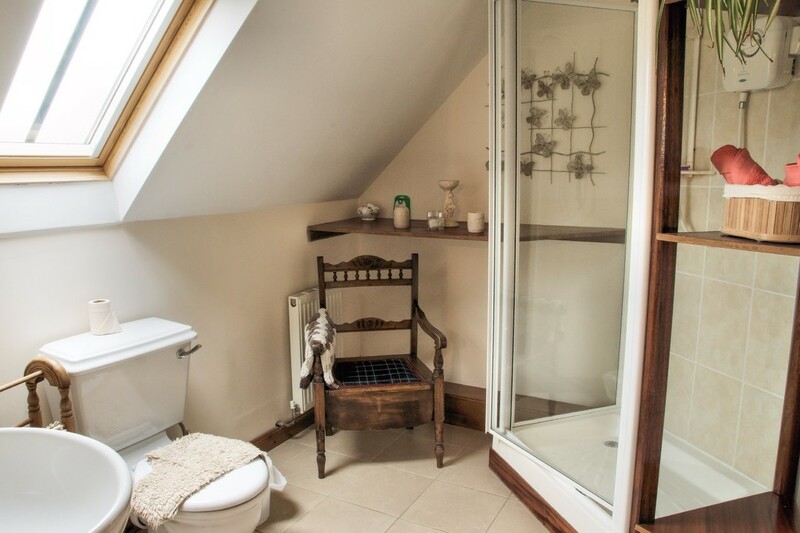 First Floor: 3 double bedrooms (2 with en-suite), family bathroom, walk in linen cupboard, study/office. VESTIBULE Entered by a solid wood door with stained glass upper panels the entrance vestibule has been finished with slate tiled flooring. HALL A spacious and welcoming entrance hallway with slate tiled flooring and large fitted storage cupboard. FAMILY ROOM 16' 5" x 12' 7" (5.02m x 3.85m) Entered by Georgian style door this generously proportioned room has been attractively decorated with solid wood finishes and has a large feature stone fireplace with wooden mantel which houses a wood burning stove. SUN LOUNGE 14' 0" x 13' 6" (4.28m x 4.13m) Georgian style French Doors lead from the family room to the bright and spacious sun lounge which enjoys superb open views over the gardens. LOUNGE/KITCHEN 22' 2" x 16' 8" (6.77m x 5.10m) Set on open plan this spacious room with neutral décor has been finished with wooden flooring and provides ample space for a wide range of lounge furniture and has as its focal point a inglenook fireplace with wooden mantel which houses a wood burning stove. KITCHEN The kitchen has been fitted with a range of solid wood base and wall units which provide ample storage space, with plate racks, shelving, a single asterite sink and drainer, roll front worksurfaces and tiled splashbacks. The rangemaster stove with stainless steel extractor canopy is to remain. Space for fridge and dishwasher. UTILITY ROOM 10' 1" x 8' 5" (3.08m x 2.59m) Situated off the lounge/kitchen this good sized utility room has been fitted with a worksurface with tiled splashbacks and space for washing machine, dishwasher, tumble dryer and fridge/freezer. DINING ROOM 16' 5" x 10' 10" (5.02m x 3.31m) Leading from the lounge/kitchen this good sized, formal dining room provides ample space for a wide range of dining room furniture and has feature French doors leading to the central courtyard area. BEDROOM 1 14' 7" x 10' 2" (4.46m x 3.10m) This generously proportioned double bedroom is located off the dining room and has been decorated in neutral tones with laminate wood flooring and benefits from large fitted wardrobes that span one wall and are fitted with a range of shelves and hanging rails. EN SUITE SHOWER ROOM The en suite shower room has been fitted with a modern three piece suite comprising of W.C. and a wash hand basin which has been set within a vanity unit with extended worksurfaces to either side, cupboards below and a vanity light fitted above. 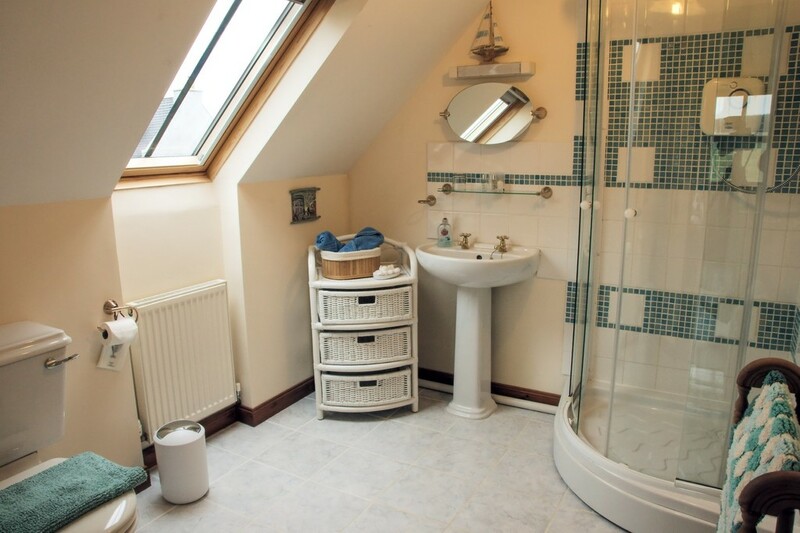 The bath has tiled splashbacks, a "power shower" and glazed screens fitted above. SHOWER ROOM Situated off the main hallway the shower room has been fitted with a modern two piece white suite together with a fully tiled shower enclosure which houses a "power shower". BEDROOM 2 16' 10" x 15' 7" (5.15m x 4.77m) A spacious and bright room with superb views over the gardens to the rear of the property and partially glazed French Doors leading to the side garden. EN SUITE SHOWER ROOM Freshly presented en suite with fitted modern two piece white suite with a separate fully tiled shower enclosure housing a "New Team power shower." 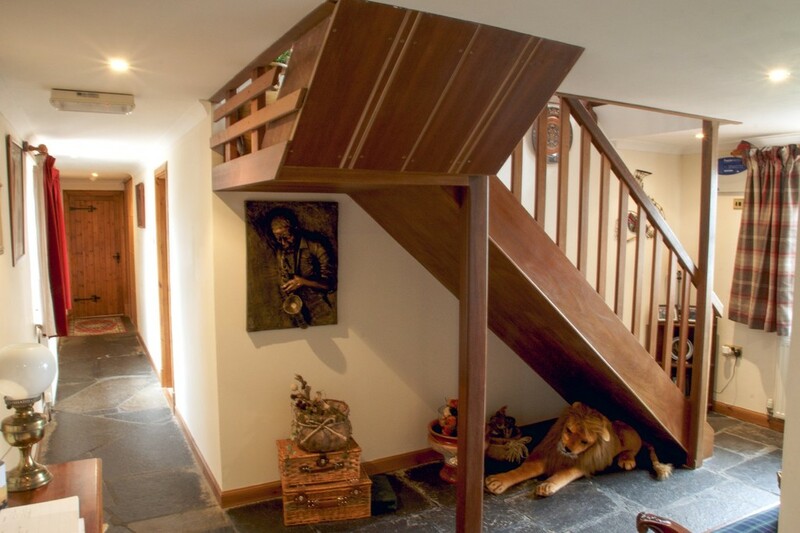 UPPER LANDING A solid wood staircase leads to the galleried upper hallway which provides a superb additional seating area and has windows to both the front and rear of the property. Walk in shelved storage cupboard and further fitted storage. 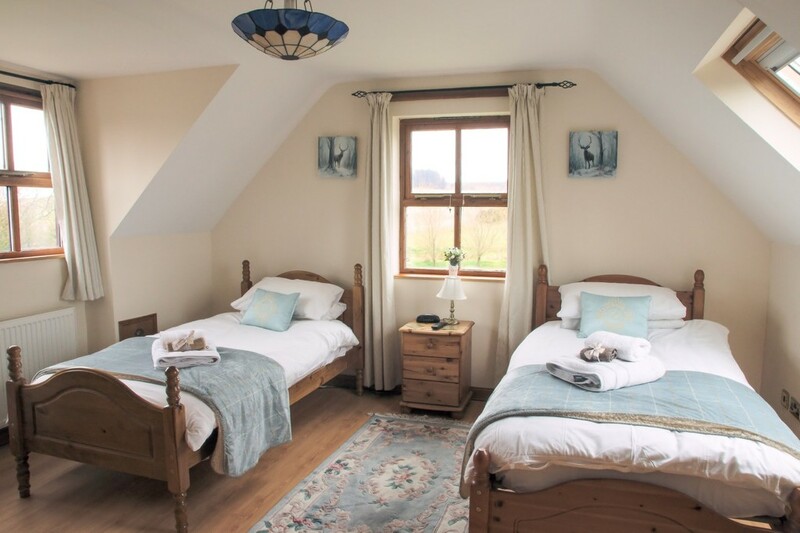 BEDROOM 3 15' 2" x 14' 2" (4.64m x 4.33m) A spacious and bright double bedroom neutrally decorated with two large picture windows and a further velux window provide a superb outlook over the gardens towards open countryside beyond. EN SUITE SHOWER ROOM A freshly presented en suite finished with tiled flooring and fitted with a modern two piece white suite with tiled splashbacks to the wash hand basin. A separate fully tiled shower enclosure houses a "New Team power shower". BEDROOM 4 15' 8" x 14' 4" (4.79m x 4.38m) This is a spacious double bedroom freshly presented in neutral tones and finished with laminate wood flooring. Picture window to the rear of the property and a further velux window to the side. BEDROOM 5 13' 2" x 13' 2" (4.02m x 4.02m) A bright and spacious double bedroom finished with laminate wood flooring. EN SUITE SHOWER ROOM Finished with tiled flooring and fitted with a modern two piece white suite together with a separate fully tiled shower enclosure housing a "New Team power shower". BEDROOM 6 13' 9" x 8' 3" (4.20m x 2.54m) Used as a study/office this good sized room could quite easily be used as a single bedroom. BATHROOM The centrally situated bathroom has been fitted with a modern three piece white suite which comprises of a large corner bath with a shower attachment and tiled splashbacks, together with a W.C. and wash hand basin. A separate fully tiled shower enclosure houses a "New Team power shower".